GCC Engineering Federation secretary-general Dr Kamal bin Abdullah Al Hamad commended the UAE’s global stature and achievements in the infrastructure sector at a meeting with Dr Abdullah bin Mohammed Belhaif Al Nuaimi, Minister of Infrastructure Development in Dubai. 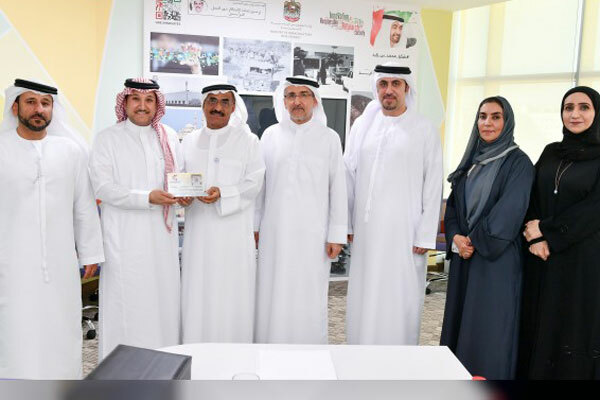 The meeting, which was held at the ministry’s headquarters in Dubai, was also attended by Engineer Mohammed Mashroum, president of the Engineers Association in the UAE, and Engineer Soliman Abdulrahman Al Hajeri, secretary-general of the association. During the meeting, Al Nuaimi received an invitation to attend the "GCC Engineering Forum", which will be held in Saudi Arabia, under the title, "The Future of the GCC Engineer, in Light of the Fourth Industrial Revolution." The federation also offered him an honorary membership to the federation, in appreciation of his efforts to promote engineering professions in GCC countries.